Students who successfully complete their studies with us may wish to consider undertaking this prestigious diploma project to further their qualifications. 1) Students who have successfully completed both the Foundation (non Advanced) and Advanced Courses, in ONE of the course subjects below, may then apply to complete the Higher International Diploma in the “same subject”. 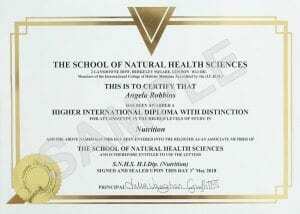 2) Students who have successfully completed both the Foundation (non Advanced) and Advanced Courses, in any THREE of the course subjects below, may then apply to complete the Higher International Diploma in “Naturopathy”. Course Subjects: Aromatherapy, Flower Remedies, Herbalism, Hypnotherapy, Life Coaching, Meridian Psychotherapy, NLP, Nutrition, Past Life Therapy, Reflexology & Stress Management. 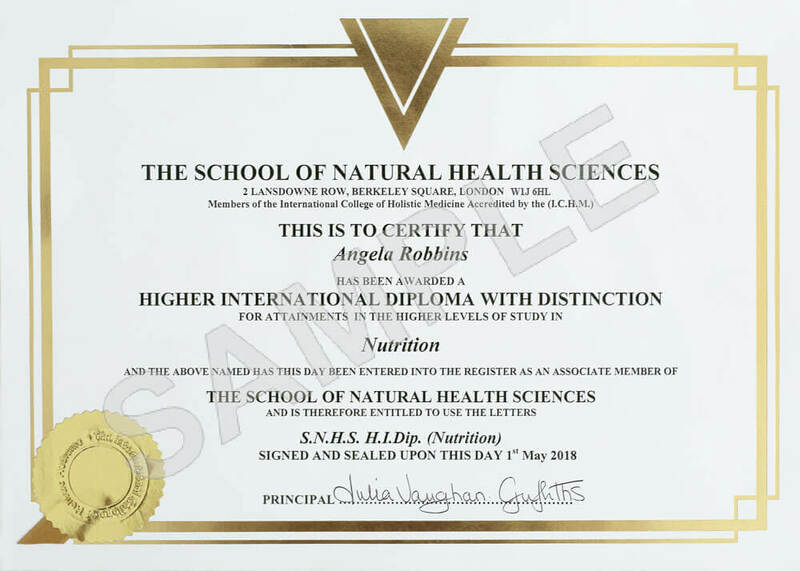 3) Students who have successfully completed THREE different Foundation Courses (non Advanced), in any of our course subjects (with the exception of Anatomy & Physiology, Child Psychology or Philosophy) may complete the Higher International Diploma in “Complementary Therapies” or “Holistic Therapies”. ‘Accomplished and original’ dissertations may be published in the Articles section of our website, please visit the page to read some of the successful articles already included in this section.